It shows how trucking is becoming a hub for tech’s top talent — and its investment money. Mike Brittain joined Etsy’s engineering team in 2010, when there were just 20 other techies. Seven years later, when he left, he was in charge of more than 300 people as the company’s VP of engineering. It’s one of many the startups in the digital freight brokerage sector, like Convoy and Uber Freight. “Etsy had a very long tail of small businesses and individuals who were trying to find a way to build a business of some sort, and we were building a platform for them to make their goods available to buyers,” Brittain told Business Insider. Transfix connects truckers who need work and retailers who need drivers to move their goods. The process for small trucking firms or independent drivers to find trucking jobs is traditionally cumbersome. They must contact “voice brokers,” who call up warehouses and ask if there’s anything the driver can carry. About 15% to 25% of the time, trucks end up carrying nothing. 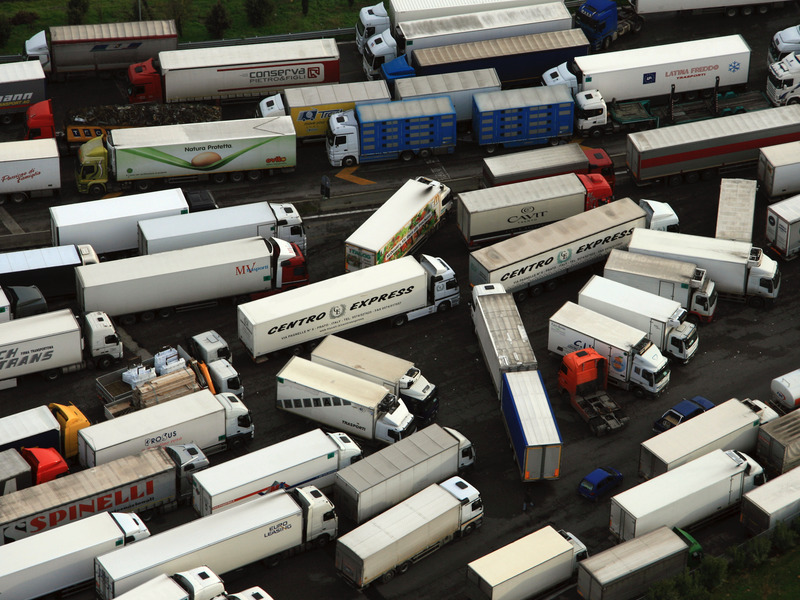 “We don’t look at this in terms of just how can we treat this as transactional as possible, moving one load to another, but moreso thinking of this in terms of trucks who have a homebase, and a person in them who want to go home at the end of the week,” Brittain said. 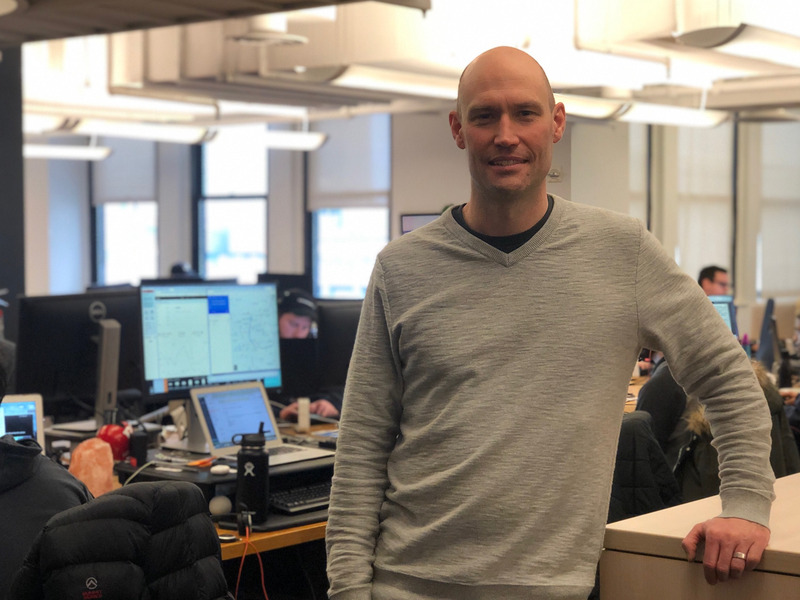 Brittain is one of many tech folks who have been flooding into the logistics industry as digital brokerage startups become popular. Transfix’s two founders include Drew McElroy, who has worked in logistics for his entire career, and software engineer Jonathan Salama. Meanwhile, Convoy’s co-founders are both former Amazon product and software workers — Dan Lewis and Grant Goodale. Valued at $1 billion, Convoy counts among its investors Google’s investment arm, Amazon CEO Jeff Bezos, and Salesforce CEO Marc Benioff. Convoy raised $185 million in its most-recent round. And Uber Freight, launched in 2017, represents a keen business interest by the $72 billion ride-hailing juggernaut to disrupt the $700 billion trucking industry. It’s headed by Otto co-founder Lior Ron, who previously was a product manager at Motorola and Google. Transfix’s McElroy previously told Business Insider the ideal trucking startup blends the knowledge of both techies and logistics folks. 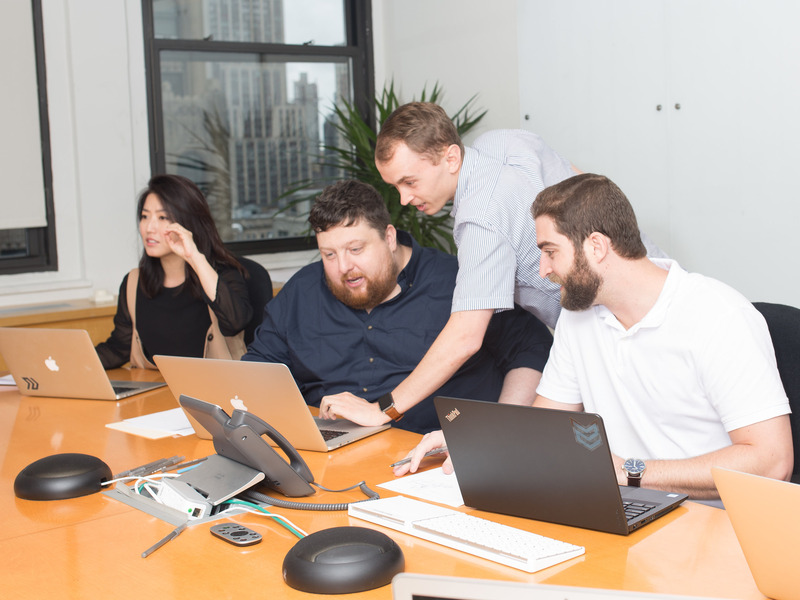 Brittain said the mix of logistics and tech talent in his team is “a killer combination.” What’s next from Transfix, Brittain said, is allowing shippers to self-onboard and self-quote on loads.